Imagine800 is registered in the Network and Electronic Communications Service Operators Register of the CMT as a company with the legal capacity to provide electronic communications services for the storage and forwarding of messages. The use of SMS as an interaction and information gathering tool is growing at a fast rate, mainly due to 3 reasons: its ubiquity and immediacy, high market penetration and easy use. Imagine800 offers its customers the infrastructure required for mass sending of SMS and the world’s most advanced platform for receiving and processing SMS Premium. 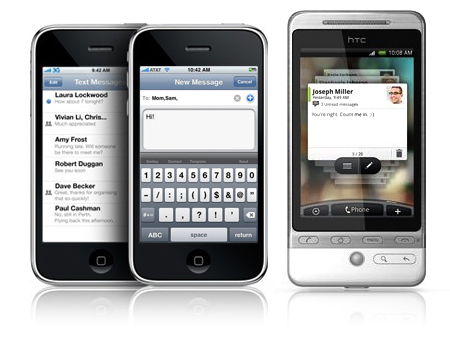 Our mass sending application is a powerful and easy way to send, via the web, SMS to mobile telephones from a computer connected to Internet. Without downloading programs, without complications, in real-time and at a low cost. 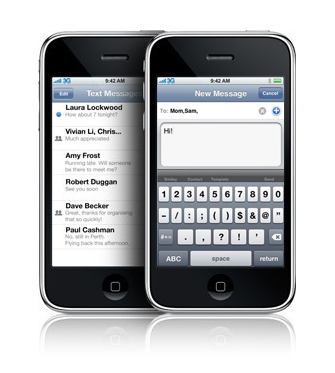 SMSs may be sent one by one or in mass by simply uploading a file with the fields that will be included in the messages. Maintain your current and potential customers informed of all novelties in your services or products, by sending fully customized messages of up to 160 characters to their mobile phones. Ideal for advertising campaigns, control of deliveries, notification of completion of orders or works, payments, etc. The application can be used on its own or fully integrated into any system. Schedule the time messages will be sent. Customize your messages by specifying the addressee’s name. Receive confirmations of e-mails delivered. Receive read confirmations of e-mails sent at a given e-mail address. Save a history report of e-mails sent, with all the configuration data. International sending of messages to 140 countries. Without registration costs or monthly instalments. Ask for price details, without commitment. SMS opinion Polls displayed on the screen during a television broadcast. System of Micropayments based on the generation of codes. Gateway for the integration of SMSs received with your own applications or databases. Contests with one or several chain questions. Imagine800 provides the contents and applications (melodies, logos, games, videos and other services downloadable on mobile phones) for you to market them among your customers. You will be able to obtain, in real time, the details and statistics of all the messages received.